The Nissan Forklift Company (NFC) offers what it calls the “Nissan Advantage.” What is the Nissan Advantage? It is actually two advantages in one. Nissan forklifts have proven themselves superior in both productivity and fuel efficiency. What this translates to for the new or used Nissan forklift owner is a big difference to your bottom line. 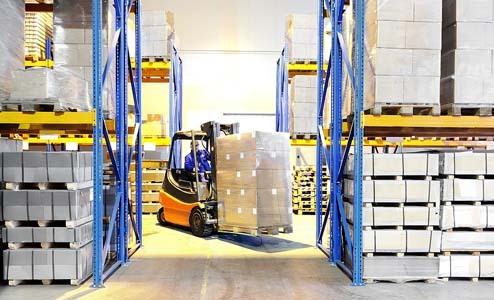 How can one forklift help increase productivity more than another? Isn’t that the operator’s responsibility? Even the most responsible and hard working forklift operator can be hampered in several ways by a poorly designed forklift. Nissan’s ergonomically designed forklifts help reduce operator fatigue and a more easily operated forklift means that the operator shaves precious time off every individual operation. While these may seem like “little things,” an independent study comparing three brands of 5000 lb cushion tire forklifts discovered that the Nissan advantage added up to big productivity increases. If you’re looking for an used internal combustion forklift, look for used forklifts manufactured by NFC. Week in and week out, your IC forklift will consume fuel – lots of fuel. If you have the Nissan advantage, you can save significant amounts of money on your yearly fuel bill and give the environment a break, as well. When you purchase a used Nissan forklift from ReconditionedForklifts.com, you take even further advantage of the “Nissan Advantage.” How? The value of any used vehicle is directly linked to the integrity of the company that sells it. Just as some shady used car dealers will make cosmetic improvements to cars and bump up their prices without improving their value, some online used forklift dealers are less-than-reputable. ReconditionedForklifts.com is part of the Bahrns Materials Handling Equipment Company family. Established in 1966 in Effingham, Illinois, from the beginning, Bahrns staked its future on its commitment to superior customer service. The Bahrns reputation for business integrity is the secret of its success over its near half century of service to the central Illinois business community. When you buy a used Nissan forklift from Reconditioned Forklifts, you are buying from one of the most respected names in the materials handling industry. An “As Is” forklift has not been serviced in any way. It has, however, been thoroughly inspected, so you will know not only what it looks like on the outside, but what condition it’s in on the inside, where it really counts. When you buy a “Guaranteed Operational” used Nissan forklift from Reconditioned Forklifts, you will know that whatever it looks like on the outside, it will be in operational order and can be put to work as soon as you receive it. Our factory trained technicians know the meaning of the word, “reconditioned.” That’s why Toyota has entrusted Bahrns as one of their Certified Reconditioned Forklift dealers. Why not browse through our complete inventory of used Nissan forklifts and other lift trucks, check out their specs and prices and find one that seems right for you. Then contact us in person and have one of our representatives fill you in on all the details about the vehicles you’re interested in. When you get to know us, you’ll know we are dedicated materials handling professionals you can count on for all your needs.